Vegan ravioli with pumpkin and herbed ricotta vegan cream cheese makes for the best fall home cooked meal. The gluten-free and vegan ravioli dough is made from scratch and then filled with rosemary roasted pumpkin and an herbed cashew ricotta. This post also includes a full vegan dinner party meal plan with easy prep ideas! How do you feel about hosting dinner parties? Love it or hate it? Live for it or dread it? I personally love dinner parties; having get togethers where I can cook for friends and family, bringing people together of all ages at one dinner table is one of my favorite activities. Growing up my parents frequently had friends over for dinner, with up to 10 people seated around the dinner table. Instead of going out to eat, weekends were spent socializing over home cooked meals. The houses would alternate with the host preparing the meal. As I got older I started taking a more active role in the prep work for these dinner parties and now that I’m fully grown and a self proclaimed foodie, whenever I come home to see my parents I become the dinner party host. Hosting a dinner party can seem like a bit of a daunting and intimidating task, but it can all be handled seamlessly and with minimal stress with a bit of proper organization. Your menu needs to be thought through in advance and timed so that you can efficiently prepare all the dishes. In this post I’m going to show you how easy it is to host a fall themed dinner party in your own home for 6-10 people. It all starts in the kitchen with the cookware, and that’s where Calphalon comes in. 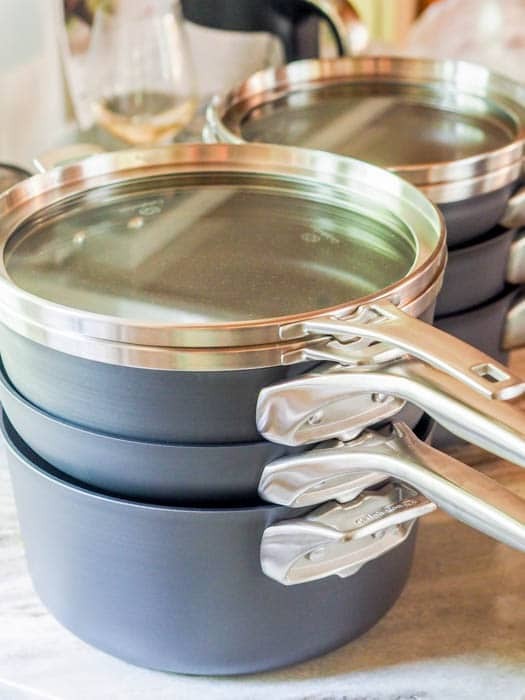 This September, Calphalon released the NEW Calphalon PremierTM Space Saving Nonstick Cookware, and they’ve been generous enough to supply me with a set to give away to one lucky reader – so read on for details. But first – why this cookware is amazing. Firstly, it stacks neatly and securely to save 30% more space in the kitchen. Thanks to the unique handle design, the pots, pans and lids stack and nest in any order. If you’re living in a huge house with a commercial sized kitchen, this might not be a huge selling point for you, but for the majority of people, myself included, kitchen space is limited, and saving cabinet space while decreasing clutter makes a world of difference. Now, typically the first part of the dinner party cooking process requires picking out the proper pan/pot and lid from the cabinet. In the case of regular pots and pans, you will have to spend the time to find the proper lid that fits. This is a task that aggravates me every single time. Regular pots and pans do not stack up nicely, making the kitchen cabinet a complete mess, and the lids, at least in my case, are always scattered around, forcing me to go back and forth checking to see if the lid I’ve picked out fits the pot I’ll be using. As someone who cooks multiple times every single day, this game of matching the lid with the pot simply drives me crazy. You? When I received the Calphalon PremierTM Space Saving Nonstick Cookware set I was amazed. The pots and pans all stack up in two neat piles and the lids are perfectly flat. The lids stack up right on top of the cookware. I am honestly downright thrilled with the design as there is no more mess in the cabinet. 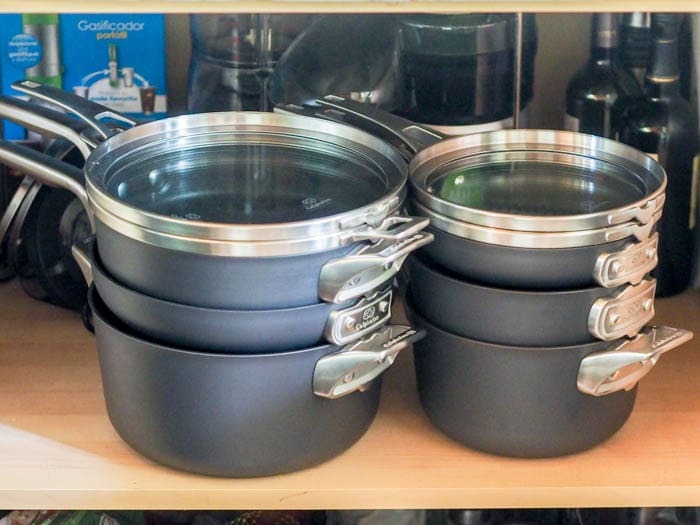 Everything in this cookware set stacks up nicely with even the lids no longer creating a mess. This is the best cookware design I have ever seen. I’ve told everybody I know about this, and they can all sense the level of excitement in my voice. So now that I had my Calphalon PremierTM Space Saving Nonstick and Stainless Steel Cookware 10 Piece Set to do my cooking with I was ready for my fall dinner party prep. The star dish of the dinner party is the vegan ravioli. This is the main entree with everything else being a side dish to complete the ravioli. Absolutely! Feel free to have a ravioli making party and then just freeze the uncooked ravioli from later. You can cook them straight from the freezer for a super easy weeknight meal. I also make a large batch of the ravioli and freeze the rest for meals through the following weeks or months. Any special tools needed for this recipe? While a ravioli counter would be nice it is absolutely not necessary. Nor do you need a pasta machine. You can roll out the dough yourself with a rolling pin or leftover bottle or thick glass, and just use the bottom of the glass to form the ravioli wrappers themselves. First cube the pumpkin, toss in olive oil, salt, pepper and chopped fresh rosemary and roast for 30-40 minutes. 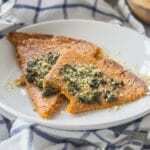 The roasted pumpkin will be caramelized and makes for a delicious vegan ravioli filling. Next, it’s on to the dough. For the dough mix flax seeds with warm water and let those sit for about 10 minutes. In the meantime combine flour, salt and turmeric in a large bowl. If you are gluten free a gluten free flour blend works well in this recipe. I like the Bob’s Red Mill or the King Arthur mix. If you’re not gluten free continue with regular flour. Once the flax and water have formed a gelatinous substance add that to the flour, along with water and extra virgin olive oil. Mix until the dough is combined, adding more water or flour as needed so the dough is neither too moist nor too dry. If you’re using a gluten free flour you do not need to knead the dough, and you will want it moist enough to have a playdough consistency. For regular flour you will want to knead the dough for 5-10 minutes. Form into a round ball, pictured below and set aside under a warm towel for 30 minutes. 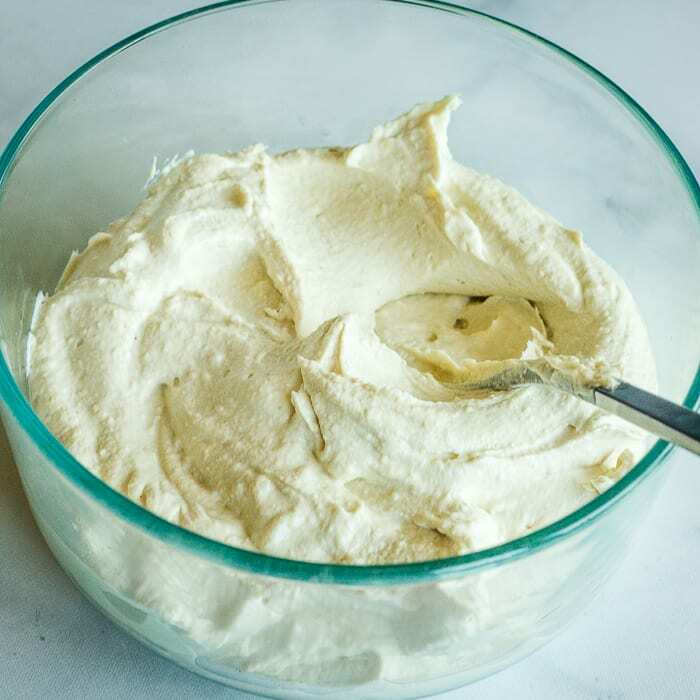 To make the vegan cream cheese you need to blend presoaked raw cashews with apple cider vinegar, and lemon juice in a high powered blender. 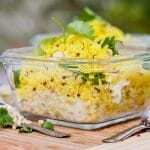 Scoop that out into a bowl and add nutritional yeast, lemon zest and desired spices or seasoning of choice. Rosemary will work perfectly here in that fall themed ravioli recipe. Next step is to roll out the dough and create the ravioli forms, using a the top of a glass or cup, or just using a pizza slicer to cut into even rectangular shapes. Then add a dollop of the vegan ricotta, and one cube of roasted pumpkin to each round. To help the ravioli stick together you can add some water to the edges of the one ravioli sheet to help seal the top. Lightly seal with your fingers or a fork. Repeat for all the dough, toss in boiling water and cook for eight minutes. 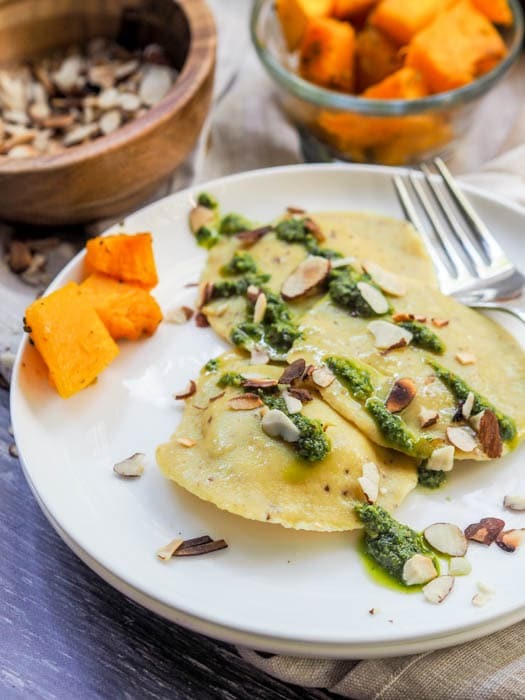 Serve this vegan ravioli drizzled with my vegan basil pesto and toasted sliced almonds for the ultimate fall themed vegan dinner. For this dinner party it is important to batch cook certain foods together. For example, the pumpkin, spaghetti squash and garlic all need to be roasted in the oven, with the pumpkin being used for the vegan ravioli as well as the soup, the spaghetti squash being used for the soup and the garlic being used for the cauliflower. Once all three of those are prepped they all go in the oven at 400 degrees for 35 minutes. After that the vegan ravioli dough needs to be made. Once that is kneaded and set aside to rest the vegan ricotta can be whipped up in the food processor to be followed by the vegan basil pesto. By this point in time the roasted pumpkin and squash will be ready so the soup can be started. Once the onions, garlic, zucchini and tomatoes are lightly sauteed the broth is added and the soup cooks at a low simmer. While the soup is cooking the vegan ravioli dough can be rolled out and the ravioli can be formed. Once those are ready they are set aside. In the next step the cauliflower needs to be boiled in the pot and then added to the food processor to be processed with the pesto, roasted garlic, olive oil and coconut oil. At this point the green beans can be lightly steamed in a pan with a bit of water until that cooks off, with minced garlic and pesto added at the end. 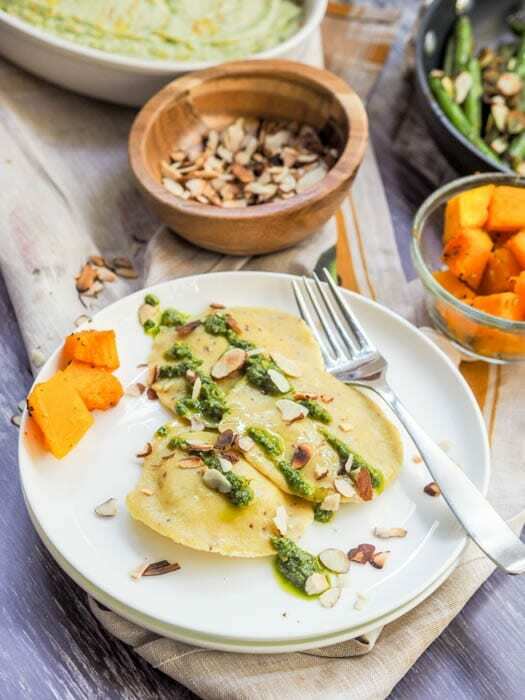 The last step in the cooking process is to cook the vegan ravioli, and plate them topped with the pesto and sliced almonds. While there seems to be a lot going on all at once, as long as you have a detailed idea of the order in which each dish is prepared, this is a low stress cooking experience. 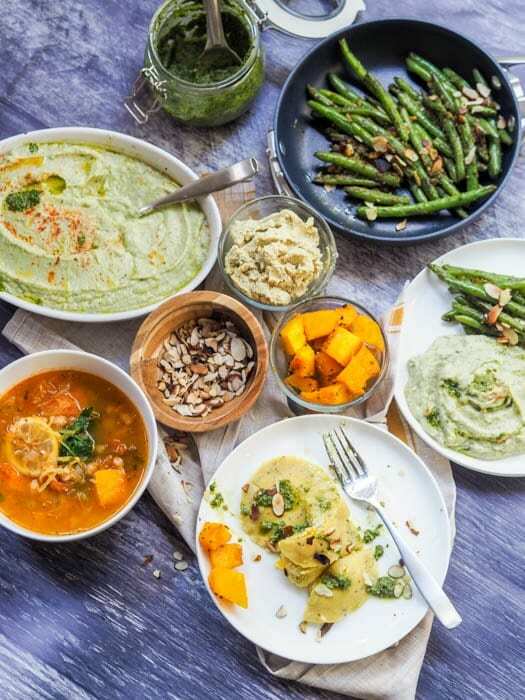 For this vegan dinner party you will need to use the oven, a food processor, 3 pots and 1 small frying pan. This fall themed vegan dinner party will be sure to impress all your dinner guests. There is no shortage of delicious and gorgeous food at the dinner table. I have made all of these recipes multiple times and they are always a hit. The most time consuming dish at the dinner party is the vegan ravioli. This dish requires making the dough itself from scratch as well as roasting the pumpkin and processing the vegan ricotta. Every step is worth it though for just one bite of the super soft, creamy and dreamy pumpkin ravioli. 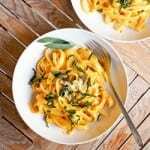 The vegan ricotta is so rich and fluffy with a hint of rosemary while the roasted pumpkin is ever so slightly smoky and caramelized, all enveloped in a pocket of melt in your mouth thin fresh pasta dough. When you’ve got both high quality ingredients as well as high quality cookware, you are simply unstoppable in the kitchen. Overall my dinner party was a huge hit and everybody loved each of the dishes prepared. The fall flavors were prevalent in each and every dish even though the taste profiles were completely different. Best of all the leftovers make for excellent meals the day after and any extra vegan ravioli can be frozen for quick dinner meals in the future. Just toss those frozen ravioli into the Calphalon pot and dinner can be ready in minutes. Next summer when I move into a small city apartment in Philadelphia I know I’m going to be even more grateful for how compact my entire Calphalon cookware set is. For anyone with limited kitchen space, a need for high quality cookware, or an organized system of stackable pots and pans this Calphalon PremierTM Space Saving Nonstick and Stainless Steel Cookware has you covered. 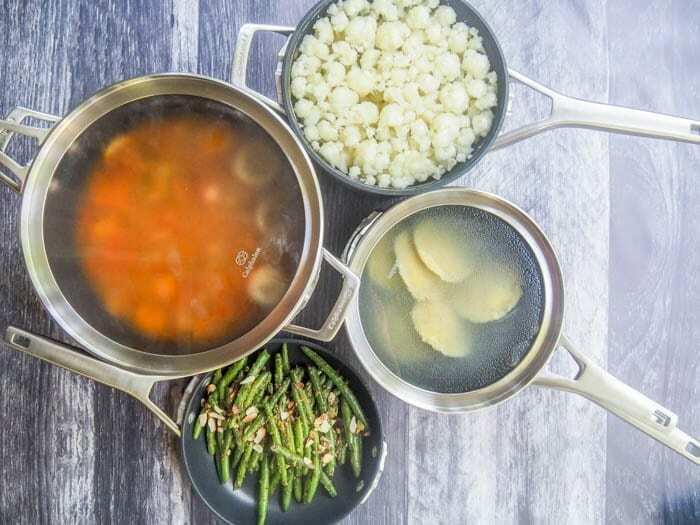 Other benefits of this cookware include the 3 layer nonstick cooking surface that is durable enough to withstand metal whisks, spoons and spatulas and that the cookware allows you to cook without hotspots, allowing for even heating cooking. Calphalon has partnered with Michael Chernow, co-owner of The Meatball Shop and Seamore’s in NYC and he has shared some of his favorite tips for cooking in a small city kitchen. He stresses taking the time to organize kitchen cabinets by spending one hour getting rid of anything that is awkwardly using up too much space and replacing it with the Calphalon cookware set which will save you 30% more space. Another one of his brilliant tips is to attach hooks to the cabinets to hold cooking utensils to free up drawer or counter space. This is one I have not yet tried, but I love this concept! My drawers are full of way too many spatulas, and stirring spoons so this is one idea I am going to implement as soon as possible! 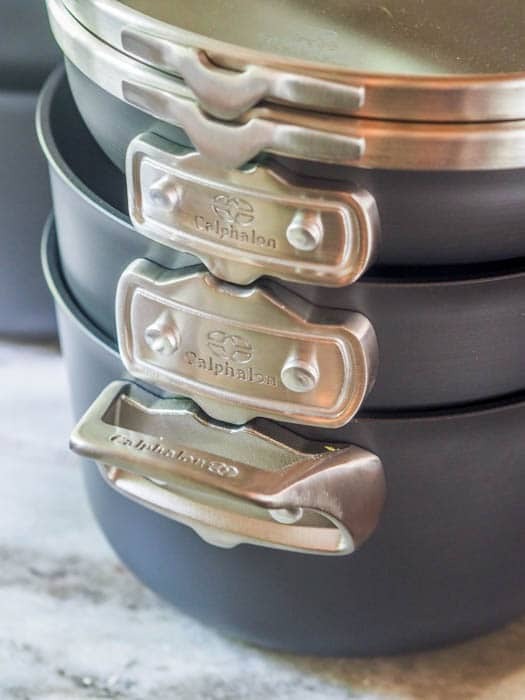 I absolutely love my Calphalon PremierTM Space Saving Nonstick Cookware and I’m excited to share that I will be giving away one 10 Piece Set so you can have one of your own! If you don’t want to wait that long The Calphalon PremierTM Space Saving Nonstick Cookware is available now in retailers including Bed Bath & Beyond, Crate & Barrel, Macy’s and Williams-Sonoma. You can also learn more about Calphalon by visiting www.calphalon.com or by following @Calphalon on Facebook and Instagram! Vegan ravioli with pumpkin and herbed vegan ricotta makes for the best fall home cooked meal. The gluten-free and vegan ravioli dough is made from scratch and then filled with rosemary roasted pumpkin and an herbed cashew ricotta. This post also includes a full vegan dinner party meal plan with easy prep ideas! Preheat oven to 400 degrees F. In a large bowl combine pumpkin with ½ teaspoon salt, 1 teaspoon chopped rosemary and 1 tablespoon olive oil. Toss to coat. Bake on a baking sheet for 35 minutes. Allow to cool. In a small bowl combine ground flax and ¼ cup warm water. Mix. In a large bowl combine flour, salt and turmeric. Mix. To the large bowl add flax mixture, olive oil and 1 and ¼ cup water. Mix until a dough forms, adding more water if necessary. Knead dough on a floured surface for 5-10 minutes. Cover with a warm towel and let rest for 30 minutes. 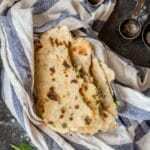 Divide the dough into four balls, and using a rolling pin roll out each ball on a floured surface until very thin. Cut circles out of the dough using the rim of a glass or a cookie cutter. For rectangular ravioli use a pizza cutter. 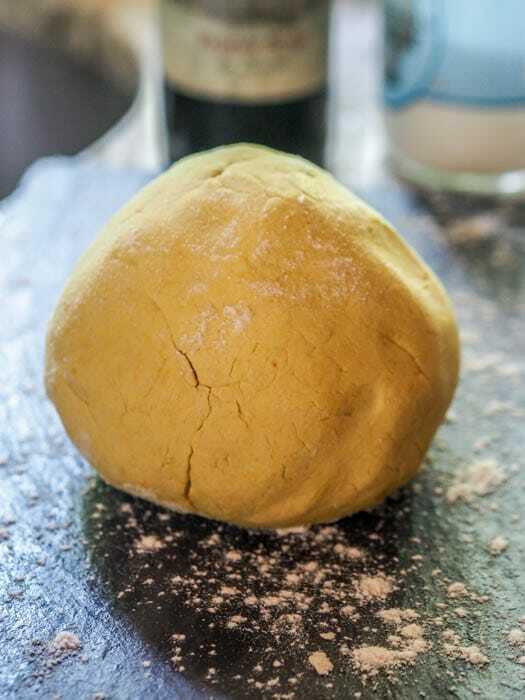 Place one teaspoon of vegan ricotta and one smashed pumpkin cube onto each round of dough. With water brush the edge of the round of dough. Top the filled round of dough with another round of dough, using your fingers or a fork to seal the edges. Repeat for remaining dough. Bring a pot of water to a boil and add the ravioli. Reduce heat to medium and cook for 8 minutes. Serve topped with pesto and sliced almonds. YUM in all caps, girl! I’ve been craving ravioli like crazy but finding a gluten free AND vegan ravioli recipe is not easy. I love the fall pumpkin twist too! So much flavor and you’re right…. sure to impress dinner guests. These ravioli look perfect! And those pots and pans! Wow! I will definitely be checking them out! They are exactly what I need! Thanks! Yes the Calphalon cookware set is the best ever! I’m in love with them! 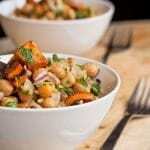 This is the perfect dinner recipe for autumn, love it! Thanks! I sure loved it too! It is so satisfying to make your own dough and prepare everything from scratch! These vegan ravioli look so tasty! Completely agree – I never make my own ravioli dough but I quite enjoyed the process! I’ve never made homemade ravioli, but you make it look so easy. The entire meal looks delicious. Thanks so much! It’s not as hard as it may seem! My first set of pots and pans were from Calphalon. I still use those to this day and its been a LOT of years! Mine aren’t non-stick, but now it makes me want to go see what those are like! I love making things from scratch. and ravioli is one of my favorites. I love that this is vegan. Saving it for later. Haha come on over! 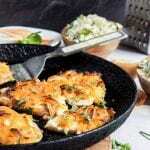 I’d be happy to have you : )) Calphalon cookware is the best!! No more hand me down pots for me either! I love a wonderful chili!! My favorite fall themed dish is pumpkin casserole. It is made like sweet potato casserole but with pumpkin. I really love butternut squash soup. I have not made it myself but I need to give it a try. I love making cranberry orange bread in the fall. My favorite Fall dish is Butternut Squash soup. I have Calphalon Elite pans that are non-stick and metal doesn’t scratch them. I wish they stacked better, though! I love the design of these stacking lids and handles of the Premier line. Sweet potato yams is my favorite fall dish. I like anything made with butternut squash. Mashed, soups, stews or cubed with butter – it’s my favorite dish of Fall. My favorite fall dish is apple pie. I gotta say how much I love Calphalon pots and pans!! They’re expensive, so I’ve slowly been buying one at a time. So durable, perfect for oil free cooking, and my favorite thing about them is that they retain heat so well! Now I’m just drooling over this new set, and the ravioli haha. My favorite fall dish has to be butternut squash pot pie.. we can never get enough of it. So good and hearty, satisfying, and plenty of leftovers for chilly busy days. I can’t wait to try this ravioli! It looks like so much work, but you make it sound so simple. I love all the baked goods of fall – like pumpkin bars! Omg! 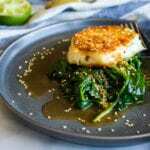 This looks delicious I have to eat gluten free cause I have Celiac disease and finding recipes that taste good are hard for me. Thanks for a great recipe and I would love to make it in those new pans . My favorite Fall themed dish is pumpkin pie. That ravioli looks amazing! I love a good fall chili, dried beans. Roasted delicata squash and anything that uses fresh cranberry relishes! I love making an acorn squash with Sesame Seeds and Cumin. My favorite fall food is actually pumpkin ravioli!!! But I’ve never made my own – thanks for the recipe!! My favorite is curry roasted butternut squash soup! 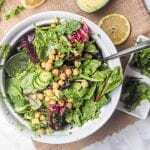 I have been a vegetarian for a while now and have been trying recently to lean into a stricter vegan diet. Once upon a time, my favorite fall dish was a giant pot of chicken & dumplings (loaded with carrots & onions and the super poofy dumplings). I definitely need to find a replacement for this dish. These ravioli look ah-maze-ing though! Officially added to my Try It list! My favorite is vegetarian chili. I love that I can use it multiple ways like Cincinnati spaghetti or to top carrot dogs. Yum! I like sweet potato pie. Only having it this time of year makes it more special. Fall means Pumpkin-Chocolate Ice Cream. I don’t care if that doesn’t suit you 😉 Aunt Martha made it when we were kids, and it was extreme in its deliciousness! My favorite Fall theme dish is baked butternut squash with butter and salt and pepper. Spaghetti squash pizza pie. It’s keto and it uses squash which I love to eat more of in the fall. My favorite fall time dish is pumpkin pie, cause its well.. perfect! My favorite fall theme dish is a good, spicy chili. My favorite Fall themed dish is cranberry walnut salad. My favorite fall themed dish is pumpkin pie. Simple and classic, but brings back family memories of fall gatherings. My favorite fall themed dish is hearty beef stew. my favorite fall themed dish is vegetable beef soup. I like making butternut squash and apples with maple syrup and cinnamon in the fall. I really like soups in the Fall 🙂 Squash soup yum! That ravioli looks so good!! I like minestrone soup in the fall. I love lasagna for my Fall fav! From the menu, it would be the ravioli. In general, my favorite fall themed dish is pumpkin pie. I like the Vegan Ravioli with Pumpkin Ricotta . thank you for letting me entering this sweepstakes. My favorite fall food has to be pumpkin pie! It would be stuffed acorn squash! Even though Ive never tried it i want to say this would be the best fall dish. One of my favorites is chili though. It’s simple and so good. I love vegetable beef stew! what a beautiful blog, the dishes look fantastic!!!! Cure a Cold soup is my favorite fall dish with every fresh herb I can find to add to it. I love to eat homemade chillli and lasagna. Sweet potato casserole is a favorite. Fried deer steak, mashed potatoes, and gravy. I always loved Pumpkin Rolls as a desert in the Autumn. I’m gonna say this ravioli, this looks delicious. We can’t wait to try this recipe, it’s perfect for Fall! My favorite Fall themed dish is chili. Pumpkin walnut bread is a fall fave, as is apple pie. Favorite fall dish is anything with pumpkin in it: Pumpkin Pie, Pumpkin Bread, Pumpkin Cookies. Yum! Love, love, love pumpkin pie! Homemade Chicken Soup. The Ravioli looks good. 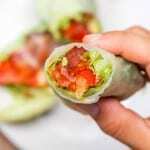 Recipes like that could encourage me to eat better! 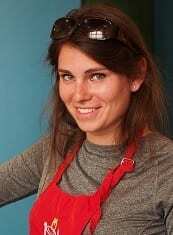 my favorite fall themed dish is squash soup I like to do a lot of soups in the fall . My favorite fall themed dish would be a big pot of chili. My favorite fall themed dish is roasted pumpkin seeds so yummy! My favorite is pumpkin themed dishes!! Roast turkey with pumpkin pie for dessert is my favorite Fall food. My favorite fall themed dish is vegetable soup! I love it! Great recipes. Think I will try the pesto Green Beans with almonds tonight! I love soups and chilis as the weather cools down for Fall. One favorite is a white bean chili with chunks of butternut or acorn squash. The meal looks very colorful and tasty. And it is very healthy. 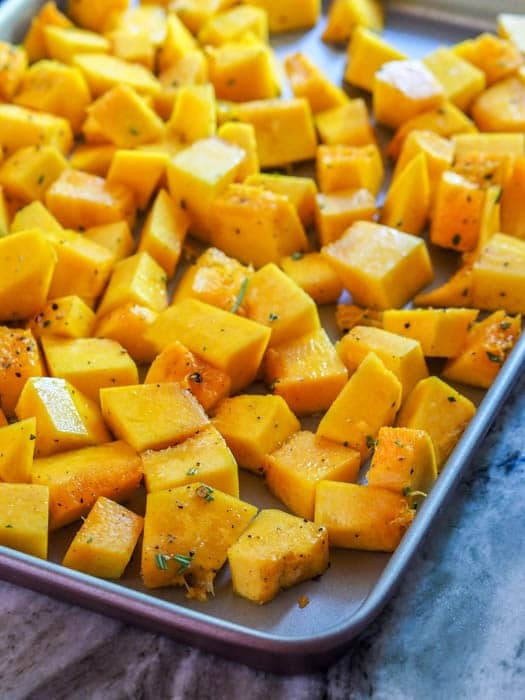 I love a big baking dish with bite sized butternut squash, sweet potatoes, and carrots coated with EVOO and salt and pepper roasted till a bit browned….delish!!! 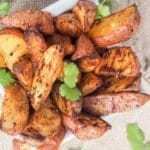 Our favorite is sweet potatoes made with lots of butter and brown sugar! Oh, and marshmallows on top! I like desserts, such as pumpkin bread! My favorite Fall themed dish is Sweet Potato Casserole! Green chili stew is my favorite. My favorite fall themed recipe is apple pie and pumpkin cheesecake! My favorite fall-themed dish is sweet potato casserole, but I’m really getting into roasted vegetables big time! Thank you for a wonderful giveaway! 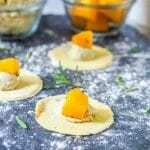 I love pumpkin and ricotta, but I would have never thought to put them together, or to put them in ravioli! It sounds delicious! Definitely chili, the spicier the better! Pumpkin whoopi pies with a cream cheese filling!! Or just all the soups that start coming out in fall!! My favorite Fall dish is chile cooked in the slowcooker. This looks sooo good. My favorite fall dish is using pumpkin as a cream sauce, with spices like nutmeg. Awesome recipes .Will give them a try.My favorite dish is chicken dressing with cranberry sause.I’ll be 60 next month and need new cookware .Haven’t had any since my wedding shower in 1973 I marrIed At 15 And Couldnt Cook Anything Then. acorn squash is my favorite fall dish. Pumpkin roll is my favorite holiday dish. Thank you! We love chli at our house and any kind of comfort food.Thank You for the giveaway! I would have to say my favorite hearty fall dish is a pot full of chili! My favorite fall dish is apple pie or anything made with Honeycrisp apples. .. I may rethink things haha..
Hmm i love to make anything with pumpkin and apple. 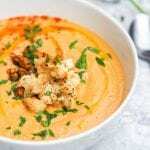 In the fall, I love making soups! My favorite to make is either Broccoli cheese or Baked Potato soup! My fave fall dish is pumpkin pie! This cookware looks fantastic!I love how compactly it stacks. I feel like I never have enough room to store my pots and pans! Love these ravioli too. Pumpkin with pesto sounds divine! These look completely amazing! Thanks for sharing! What a beautiful plate of ravioli! I can’t wait to try it. I have never before made ravioli from scratch and I think the time has come! Vegan potato leek soup. Or butternut squash soup. My favorite fall time dish is apple stuffing! I love red jewel yams. My favorite fall themed dish is homemade chili followed with pumpkin pie for dessert. Homemade chili! Everyone loves it! Thanks! I love chili. That is my favorite fall dish. My favorite fall time dish would be a beef stew or chili. I don’t have a favorite fall dish. I eat whatever I’m in the mood for no matter what time of the year it is. My favorite fall dish is butternut squash soup! My favourite fall meal is spaghetti squash with tomato sauce! Hmmm – either chili or baked apples! Both are favorites for sure! These are definitley on my menu for the week!! They look delicious! I love chili and a nice hearty stew, thank you! Thank you for the chance to win. I seriously need new cookware ! 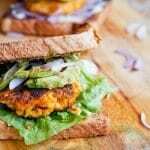 I’m vegan so this is an awesome recipe that I’m definitely gonna try! Thanks! A slow roasted Leg of Lamb gets me into the seasonal spirit. I enjoy hosting dinner parties. This cookware is great. I love the see-thru glass lids. Sounds so delicious!I love a sweet potato casserole this time of year! 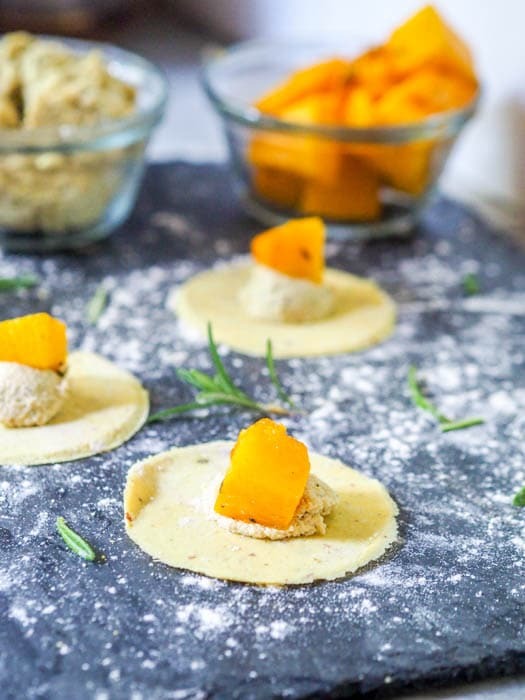 Vegan Ravioli with Pumpkin and Herbed Ricotta is my new favorite fall themed dish! It’s perfect for this time of year! Thank you for the recipe! 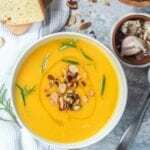 My favorite fall dish s butternut squash soup with toasted pepitas. My favorite fall themed dish is my mom’s cornbread stuffing. My favorite fall dish is apple spice cake! I love pizza and make one with butternut squash, arugula, gorgonzola, apples, cheddar and fried sage leaves. Its yummy! I love coffee with Baileys Pumpkin Spice. Such a delicious treat! ANYTHING with Butternut Squash. YUM! I like pork chops and apples, braised in cider. Thanksgiving stuffing! Is that wrong? Oh I have to say…I love making Chili in the fall!!! My favorite fall themed dish is definitely want to make is the Easy Fall Pasta dish utilizing pumpkin. This adds lots of protein and makes for creamy pasta dishes. My favorite fall dish is pumpkin pie! One of my favorite fall themed dishes is gumbo, for when the weather turns chilly. My family and I love making apple crisp in the fall! My favorite fall dish is butternut squash soup and just about anything pumpkin. I would have to say pumpkin rolls! Anything that involves squash or apples has my heart. There’s no better meal to make than Chili when the cold weather starts. My favorite fall themed dish is stuffed cabbage, beef stew and anything pumpkin. My favorite fall themed dish is butternut squash casserole. I enjoy Harvest Beef Stew in the fall! I love making stuffed acorn squash in the fall! I love a good creamy pumpkin soup. My favorite fall themed dish is pumpkin soup. If you count apple pie as a fall dish.. that would be my favorite. I love pumpkin ravioli, pumpkin pie, roasted pumpkin. I love everything pumpkin for fall. My favorite fall theme recipe is sweet corn & chicken soup. 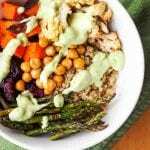 Best fall dish Turkey and dressing. My favorite Fall dish is my homemade chili and my homemade apple pie. Thank you for the chance! 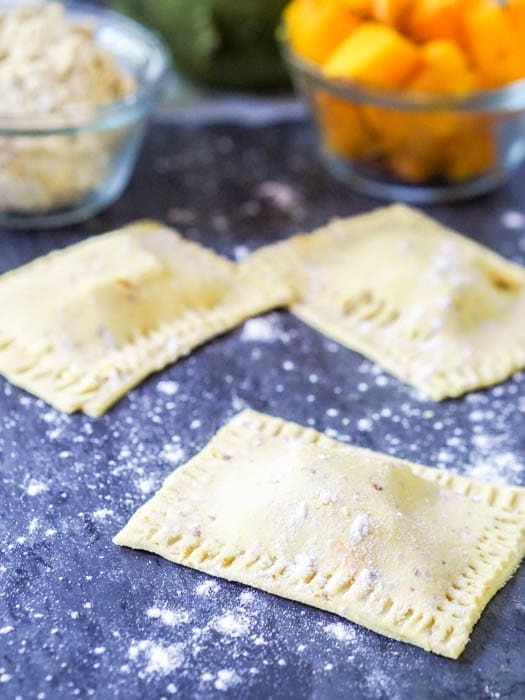 This pumpkin ravioli just might be my new favorite fall food! I love to make chicken tortilla soup in the fall . My pots are 15 years and this mama could use an upgrade! Love calphalon lots and pans! To answer the question.. my favorite fall dish has to be chili or anything with pumpkin! Mine is a dessert.. Caramel apple pie. I love making butternut squash soup. in the fall. My favorite fall dish is butternut squash soup. I love warm soups like butternut squash apple soup. Pumpkin pie with whipped cream just don’t taste the same other times of year. I love making corned beef and cabbage. i love butternut squash soup with some crusty bread! I love butternut squash bisque! Favorite fall dish? I have many, and tonight made a caramelized squash with onion and garlic, parmesan tossed with Penne pasta. So, so good! My favorite Fall Dish is Taco Soup! So quick and easy to make and great for the cooler weather months. I also make a pan of Jiffy cornbread! I am partial to pumpkin pie with whipped cream! I love making molasses cookies. 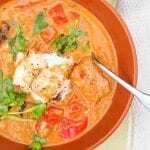 I love all sorts of soups for the cold days and nights. I can’t choose one favorite fall dish, it’s tie between Brunswick Stew and Chili for me! I love pumpkin rolls, so yummy they are. I love that Pumpkin Squash for a fall dish the most. Love anything good to eat. I love the veggie pasta soup. I really could use this set of pans. Don’t have but one pan now.